If you're like me you'll always be rummaging through the handbag to find the lipstick or lip gloss during the day for touch ups because you just can't seem to find anything whenever you need it. Worse, you'll find the gloss but the lipstick is nowhere to be seen. Bloom's Natalie must have heard me cursing one too many times and has answered my prayers by coming up with an ingenious multi-function product. 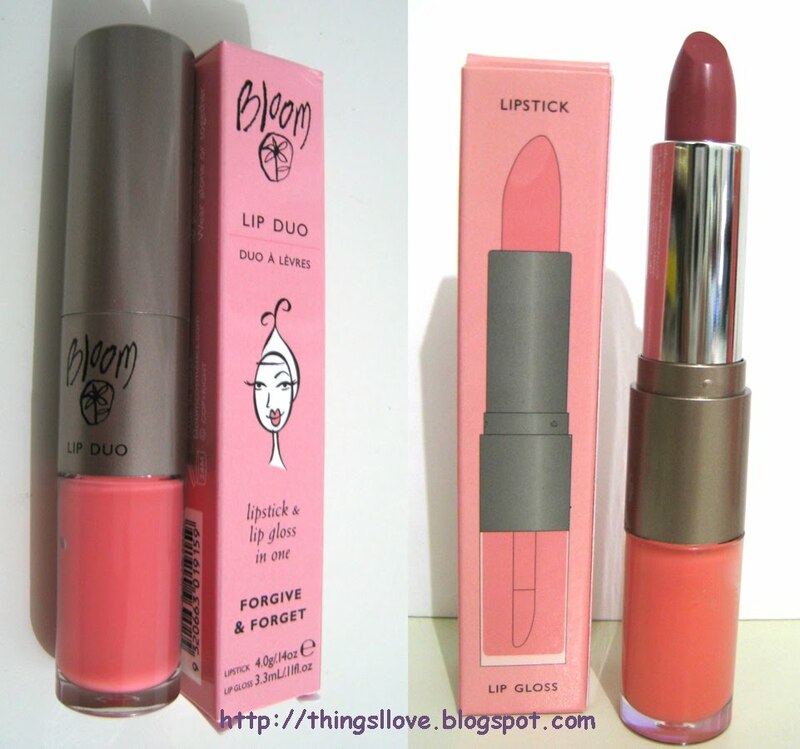 Bloom Lip Duo - a dual ended product that comes as a perfectly paired shade of lipstick and gloss. 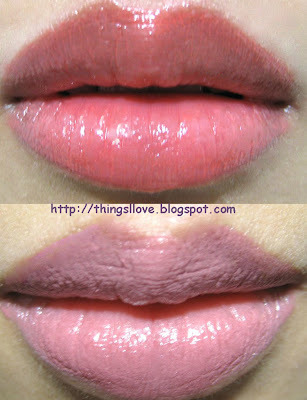 wonderfully creamy and hydrating lipstick on one end and high shine lipgloss on the other. Light vanilla scented (yum!) & contains moisturising jojoba and mandarin essential oils. Lip gloss has added shine and conditioning macadamia oil. each tube has perfectly matched colours paired for you so you don't have no guess work required for a perfect pout. How brilliant! lip products can be used alone or together for an even more. 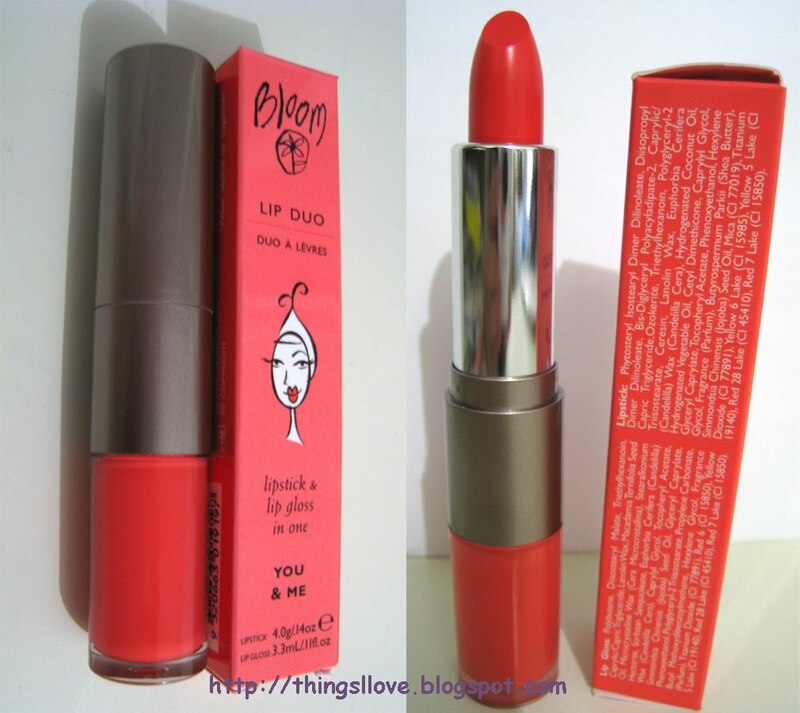 Being a duo product, the packaging is slightly bulkier than your traditional single lippy or gloss. It makes it even easier to find in my handbag and I only need to look for one item! Creamy and hydrating with medium buildable coverage. 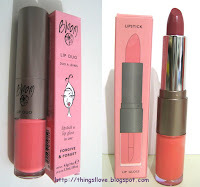 Applies silky smooth on lips with a satin finish with pearliness noticeable only in the full sunlight. Easily lasts for 3 hours before needing any touch ups. Brilliant shine with micro shimmer that gives lips a plumping 3D effect - perfect for that sultry pout! smooth non-tacky formula that's not too sticky - it's not exactly boyfriend friendly yet (they tend to hate glosses with passion) but your hair won't hate your lips as much when the wind sweeps it across your face. provided a sheer hint of colour when worn alone and added depth and richness to colour when layered over matching lipstick. Forgive and Forget is soft and wistful - great for pretty feminine looks paired with a hint of peach blush and soft neutral eyes while You & Me will give a slightly more bold look that goes well with smokey eyes. I cannot pick a favourite between the two and would probably love the rest of the line too. 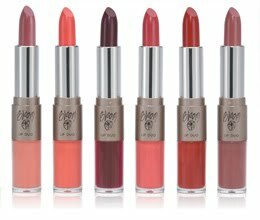 Available in 6 wonderful irresistible shades with cute names like Rain & Puddles and Moon & Stars - they all looks and sound so good I want them all. I am glad I didn't write off Bloom just because I had a bad experience with one of its product (b Collection nail lacquers) as I would definitely go out and buy these lip duos. Rating: 9/10. Great product with practical multi-functional design - what's not to love? RRP A$28 at Myer, David Jones, Bloom's Chapel St Flagship store or online now.